In recent months the cost of wholesale funding in the Australian market has increased. Most funders have been impacted by changes to the Bank Bill Swap Rate (BBSW) which determines the cost of their funding. The BBSW is not directly related to the RBA Cash Rate and the 1 month BBSW rate now sits at 1.98% (9/07/2018 ASX), in comparison to the RBA Cash Rate which has not moved and has remained steady at 1.50%. Whilst funders have been absorbing these increases in the BBSW rate, they are now at a point in recent weeks, that they are increasing their pricing as the BBSW has continued to rise. As a result of the increase in funding costs, you may have already seen in the media, a number of lenders have lifted their mortgage rates in recent weeks including AMP, Bendigo Bank, ING, IMB Bank, Suncorp, Citibank, BOQ, Pepper Money, Auswide, Macquarie and Resimac. Whilst not all funders have increased rates to date, borrowers impacted by this change will be advised by their banks. Should you have any queries regarding the above changes please contact us. BREAKING NEWS - NSW Government reintroduces stamp duty concessions for first home buyers from July 1. Full Stamp duty exemptions will be available on the purchase of existing or new homes up to $650 000 with discounts on stamp duty for purchases from $650,000 to $800,000. A lot has changed in the investment lending market over the past 12 months. Reviews by several government departments have placed caps on the amount banks can lend to investors in an attempt to slow down housing prices. The effect of these restrictions has been large increses in investor interest rates across the board as banks look for ways to minimize their exposure to investment lending. Some banks will no longer accept applications to refinance investment properties. At this stage with higher rates being a natural deterrant for borrowers most bank's are choosing to go down this path rather than shutting down investment lending all together. A halt to investment lending could well be an option for those banks who cannot keep their investor portfolios under the Government imposed cap. Interest only loans for both investors and owner occupiers have also come under scrutiny with pressure on banks to restrict the amount of interest only loans as part of their responsible lending obligations. Again the banks have chosen pricing as a deterrent with increases occuring in the market at the moment. For more information on how this impacts your situation please give our office a call to speak to one of our specialists. No one needs a holiday as much as the person who has just had one! Apart from that small detail we are back on board and ready to help you get the most from your mortgage. 11.30am 20 December phones are back up again! Thanks for your patience. It's business as usual. Phones are back up again. 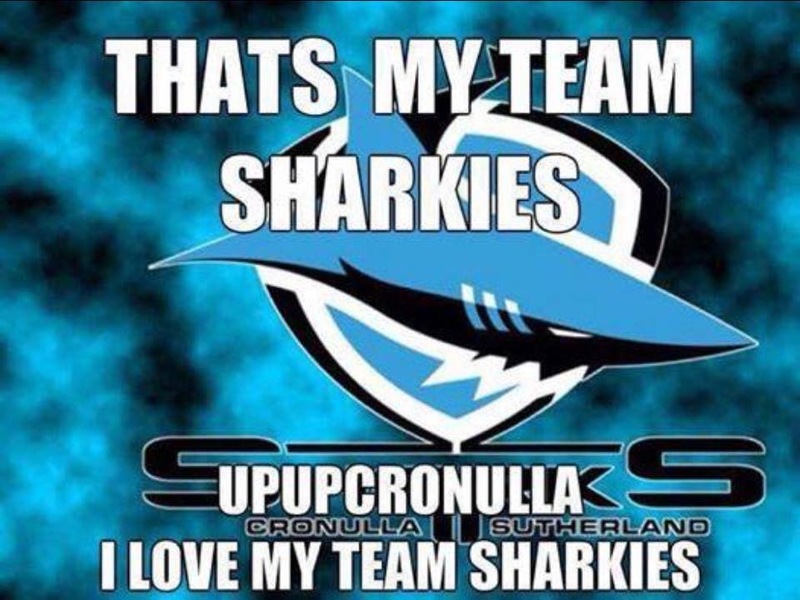 Heres hoping for a Sharkies win! At its last meeting for 2015 the Reserve Bank has elected to keep the cash rate on hold. The Reserve Bank does not meet again until February 2016. The link between home loan rates and the Reserve Bank Cash Rate decision is weakening. In 2015, most banks have increased their rates independently of the Reserve Bank. We can expect more of the same in 2016. ANZ and CBA have today announced they will increase new and existing investor loans by 0.27% on 10th August 2015. The rationale is to slow down the investor market. This would make some sense if the increase was limited to new loans but increasing the rates of existing loans is, in our opinion, a blatant pocket lining and profit increasing exercise. If you need us to look at your investor loan to come up with some better options give us a call. At its meeting today the Reserve Bank voted to reduce official interest rates by 0.25% to an all time low of 2.00%pa. The reduction will put more cash into the hands of mortgage holders at the end of each month but will probably also further stimulate a red hot Sydney property market. If you want to know how this drop affects your loan or your ability to purchase a home call our office today! Do you want to pay off your home loan faster? Click here for our Top 12 Tips to help you! We wish all of our wonderful clients a very Merry Christmas and Happy New Year. Thank you for choosing Shire First Mortgages as your mortgage professional during 2014. We are now on holidays! Our offices will be closed from 5.00pm on 22 December 2014 reopening at 9.00am on Monday 12 January 2015. If you didn't win on this week's Melbourne Cup don't despair. We can still help you beat the odds and pick a winning home loan. 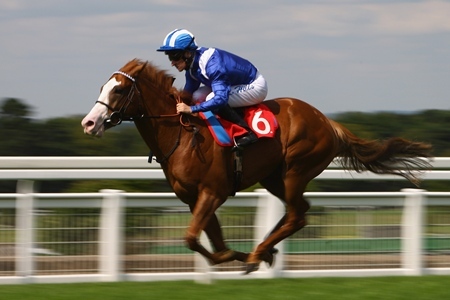 Click here for our article on how to improve your odds. PREFER TO DEAL WITH A CREDIT UNION? If you prefer to deal with a credit union than a bank, don't worry we have credit unions on our panel of lenders so you don't miss out on the benefits of dealing with a broker! 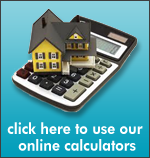 If you want to know how long it will take you to save the deposit for your dream home have a look at our savings calculator. If you would like to find out how much you need to save as a deposit call us today to make an appointment. The BIGGEST change in privacy reforms in history is about to come into effect. This means that your financial institution is now allowed to share your credit liability information and your repayment history by providing details of whether your payment have been made on time or not. If yiou fail to make any loan, credit card or even phone contract repayments on time (even one day late), it may affect your ability to obtain credit in the future. For more information call our office or read this article. 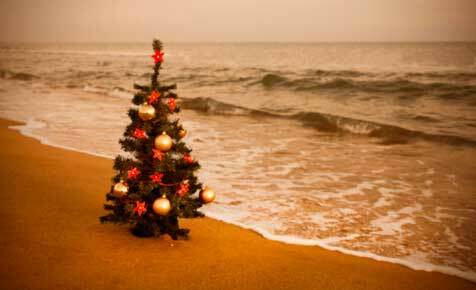 We wish all of our wonderful clients and friends a very Merry Christmas. We hope you get to spend some time relaxing in the company of those you cherish the most. Our office will be closed from 3.00pm on 20th December and open again at 9.00am on Monday 13th January 2014. Neil Massingham and Shire First Mortgages have just been listed in Mortgage Professional Australia's Top 100 Brokers Australia Wide. According to The General Manager of Mortgage Broker Distribution from Westpac inclusion in the list "recognises the highest-performing brokers and highlights the contributions they have made to the industry and the community". Congratulations to us! We have had a very busy year working very hard for all our wonderful customers. Happily, it seems that they appreciate it with people telling us over and over again how much they love our service. But don't take our word for it. Read their testamonials in What Others Say About Us by clicking on the above link. Originals of all testamonials are available in our office for you to look at. 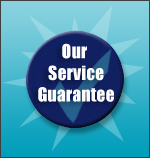 Why not give us a call to experience exceptional service! The Reserve Bank has reduced official cash rates twice this year to an all time low of 2.50% and fixed rates are hovering at levels not seen for over 20 years. Opportunity or disaster? If you are looking for a property to purchase the continued low rates are a bit of a double edged sword. Affordability is great, you can borrow more but it is a sellers market with more buyers than properties pushing prices up and leading to endless frustration. Borrowers entering the market for the first time in these conditions should also consider how they will manage repayments when rates eventually do increase which they will. If you have a mortgage these low rates are a fantastic opportunity to pay as much as you can into your loan and pay off more of the principal which will reduce the interest you pay in the long term. As part of what we do we have strategies and tools to help home seekers push themselves to the front of the queue when negotiating a purchase as well as strategies to help existing mortgage holders pay down their loans just that little bit faster. See what others say about our service and call us to day to see what you are missing out on! After reducing rates to historically low levels last month the Reserve Bank has kept rates on hold. Most economists believe there might be some room for rates to move further later this year, however at present the Reserve Bank is happy with where rates are sitting. Fixed rates are still very attractive. For more information call the office today. At its May 2013 meeting the Reserve Bank cut the official cash rate by 0.25%pa to 2.75% pa - a historic low. Unlike previous rate cuts some of the major banks have been quick to respond passing on the full 0.25% to their home loan customers. This is great news for mortgage holders. For more information or to find out how your mortgage is affected call the office for a no obligation chat. At its meeting today the Reserve Bank kept the cash rate on hold. The general feeling is that the current 3 per cent monetary policy setting is appropriate with the Australian economy and property market fairing quite well when compared to the rest of the world. This is good news for all mortgage holders. Since May last year we have seen recovery in the housing market, an improved share market and higher consumer confidence, all indicators that interest rates are unlikely to reduce further for some time, if at all during the current cycle. Our new competition opens today. For your chance to win $10,000 in cold hard cash simply click on the link on this page, make an appointment to see us or refer a friend or family member. It's that easy!! Fixed rates are still red hot at the moment. Give us a call to see how you can fix your loan for under 5%pa. TIPS TO KEEP YOUR NEW YEAR'S RESOLUTIONS ON TRACK! Are you ready for a change? Have you written your new year’s resolutions down? If you are determined to make this year ‘the one’ then take a few moments to read the attached article. 4. helping your kids purchase a home. Wishing all our wonderful clients and supporters a very Merry Christmas and Happy New Year. Please note that our office will be closed from 21st December 2012 and reopen on 14th January 2013. If you need us urgently over this period please cal the office and leave a message or send us an email and we will try to respond to you as soon as possible. Thinking about investing in property but not sure how to begin? Download our article "How Can I purchase an investment Property" to get a little information on how to start the ball rolling. For more detail why not download our Property Investment Essentials E book and then make an appointment to have confidential discussion with one of our consultants? The Reserve Bank today announced a reduction in the official cash rate by 0.25% pa to 3.35% pa. Great news for home owners, investors and those looking to enter the market. To find out how much you can save call us today ! "Steady as she goes” says the RBA. The RBA has decided to keep rates on hold at 3.5% for the fourth month in a row. While commodity prices have fallen sharply in recent weeks, the RBA did not see enough economic evidence to warrant a rate cut at this time. Economists are still predicting a rate cut before the end of the year, let’s hope we don’t have to wait until Christmas for our present! We are pleased to announce that our competition to win a luxury holiday for 2 people in Uluru opens today. You can enter as many times as you like by referring a friend or colleague to use or services or by booking an appointment to see one of our loan consultants. Good luck! The proportion of Australian homes that are owned outright fell from 39.7% of all occupied private dwellings in 2001 to 31.0% in 2011. Most borrowers do not have an intelligent structured plan on how to pay off their loan. If you would like to make your loan work harder for you and pay off your loan faster we can help you with our exclusive Loan Reduction Program, To find out more contact us today. HURRY THERE ARE ONLY A FEW DAYS LEFT TO ENTER OUR CURRENT COMPETITION! Our current compeitition closes at 5.00pm on 23rd July 2012. To enter simply click on the link above to request information, refer a friend to us for a loan or subscribe to our mortgage magazine. NSW Budget changes to First Home Buyer Scheme. In an attempt to stimulate new building growth, the NSW State Government has just announced changes to the current First Home Buyer Scheme with the current scheme ending on 30.9.12. From 1.10.12 the First Home Buyer Grant will more than double to $15,000 but only for purchase of new homes.A first home buyer grant will no longer apply for the purchase of established properties from 1.10.12. Stamp duty concessions for First home buyers purchasing new homes will also be increased with the threshhold being raised to $650,000 and all buyers purchasing brand new or off the plan homes will receive a grant of $5000. If you have an investment loan it might be worth your while to talk to your accountant about paying interest in advance to gain some taxation benefit. Most banks are offering substantial interest discounts for interest in advance payments so if you think this might benefit you check with your accountant and then give us a call to discuss how to proceed. You need to act quickly to ensure everything can be processed before 30th June. After its May 2012 meeting the Reserve Bank has reduced the official cash rate by 0.50% to 3.75%pa. The reduction reflects a general weakening of the Australian economy and lower than expected inflation figures. The waiting game is now on to see how much of this cut the banks will pass on. As we celebrate Anzac Day with family and friends we will think of all those who gave their lives in sacrifice for our country and of those who are currently serving both in Australia and overseas. Interest rates are the hot topic in financial circles at the moment. In the words of RBA Assistant Governor "The only thing which is certain is that uncertainty is likely to persist for some time to come". Although the RBA is leaving rates on hold, some banks are independently raising their rates. We have had many customers ask us whether fixed rates are a good option. For more information give us a call to talk about your individual circumstances and have a look at the following article by clicking here. The Autumn edition of our Mortgage Magazine is now available and all subscribers should have received their copies in the mail. Read about the RBA's secrets for property investment and What Self Managed Super Funds are telling us about the economy. If you don't get a copy and would like one simply click on the link on the right of this page to subscribe. Our new competition to win an escape for 2 to Qualia, Hamilton Island starts tomorrow. To enter just make an appointment to see one of our loan consultants or refer a friend to our business. Click on the link above to find out more. As the banks scramble to protect their profits by putting up their interest rates this month many families will find it harder to manage their finances. It is well known in financial circles that February is the month when bad spending habits come home to roost. A little extra spending or over reliance on credit from Christmas shopping and holidays may be realised this month, and in most cases not budgeted for. This increased consumer debt results in financial stress so early in the New Year. Not a good start to 2012! If you are wondering whether you’ll manage your loan repayments and pay off those credit card bills, then I am sorry to say that it is time to get on to that New Year’s Financial Resolution you have probably been avoiding – an honest household budget. If you have more expenses and debt repayments than income – don’t delay! Take action immediately before your financial situation becomes worse. We have prepared an article which has some useful information about your options to regain peace of mind with your finances under control. Click here for your free copy. PS: If your debt levels are concerning you and you think you are observing the first signs of trouble, pick up the phone now before it gets too late. We don't judge. We are here to help. The Reserve Bank has kept the cash rate unchanged at 4.25%pa following its February 7 meeting. Wtih some banks making a point of now not aligning their rate movements to the Reserve Bank it will be interesting to see if any rate changes occur this month. 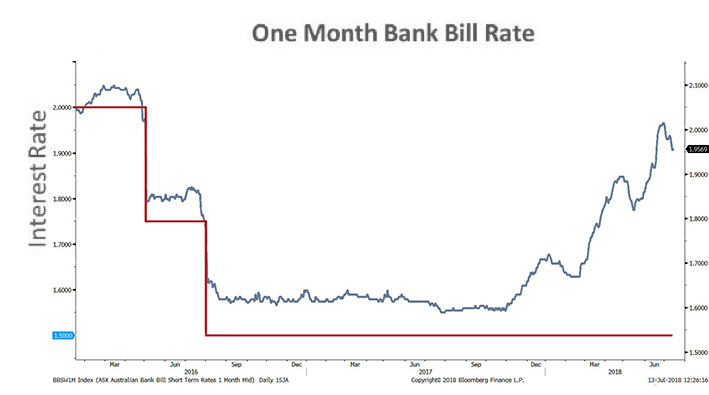 However, in reality the likelihood of any rate cuts this month is low. Fixed rates are still quite attractive and if you have any questions about switching to a fixed rate give the office a call. Our competition to win a Smart TV and entertainment package has now closed. Congratulations to the winner M Baylie all the way from Queensland. Keep an eye out for our new competition starting on 1 March to in 3 nights at the Luxurious Qualia Resort on Hamilton Island. More details to follow once everything is finalised! Our current competition to win a smart TV entertainment package worth almost $10,000 closes on 23rd January 2012. Entering the competition is easy! Simply make an appointment to see one of our loan consultants or refer one of your friends or family to use our services or to receive our magazine before the closing date. The more people you refer the more entries you will receive. If you don't currently receive our quarterly magazine you can subscribe to receive it and we will give you an entry into the competition. Good luck! We would like to take this opportunity to wish our wonderful customers a very Merry Christmas and Happy New Year. Our office will be closed from 12.00pm 23rd December 2011 reopening at 9.00am 9th January 2012. If you require assistance during this period please email us at [email protected] or call 95317503 and we will endeavour to get back to you within 48 hours. After 12 months of keeping interest rates on hold, the RBA has sent borrowers an early Christmas present by reducing the official cash rate for the second consecutive month. The cash rate has been reduced to 4.25%pa providing borrowers with additional spending power over the busy Christmas season. the Reserve Bank next meets again in February 2012 with further rate cuts tipped. Not all banks have passed on the full 0.25% cut to the offical cash rate announced by the Reserve Bank following its meeting on 1 November. Is this a sign that the price war between the banks is now coming to an end? To find out if your rate and loan are still competitive contact us today for a no obligation consultation with one of our mortgage advisers. It is time for the annual Gymea Village Fair this Sunday 30th October. We will have a stand right outside our office with balloons and other giveaways as well as free on the spot Comprehensive RP Data property reports. If you are in the are drop past and say hello. We would love to see you. Following its October 2011 meeting, the Reserve Bank of Australia has left the official cash rate on hold at 4.75%pa. This comes as no great shock to those repaying debt at a variable or split interest rate. Uncertainty in world economies along with increases in our unemployment levels and poor household growth has suppported this decision making. We strongly recommend that with today's economic uncertainty it is important to focus on your finances. Take the time to set a budget and start planning for the future. Whether it be for an investment property, renovations or new car, having a plan is essential. Take some time to budget by using our free budget planner and calculator found in our online calculators. If you need some more information or help please contact us. It's our job to ensure borrowing and planning for your new home or refinance is as stress free as possible. New market research from CoreData has revealed that Australian mortgage brokers are more engaged with customers than banks or credit unions.The survey saw mystery shoppers visiting mortgage brokers, banks and credit unions, scoring them over a range of criteria - and brokers came out on top. The Market Research Company reported that Brokers put extra effort into knowing their customers and performing for them. In addition, Brokers' income is linked to completing the loan, so they have the fastest speed-to-market for borrowers. What more reason do you need to call Shire First Mortgages today instead of going directly to your bank? At its meeting on 6.9.11 the Reserve Bank has left the cash rate unchanged at 4.75%. Variable interest rates will therefore remain at around 7.00%pa with fixed rates looking incresingly attractive at around 6.4% for a 3 year fixed rate. Contact the office if you would like to know more about variable or fixed rates. The NSW State Government has just announced it will restrict stamp duty concessions for first home buyers purchasing a home under $600,000 to off the plan and newly constructed properties effective from 1st January 2012. On a purchase of $500,000 this will mean an increase of around $17,000 in stamp duty costs for first home buyers purchasing established homes. To avoid the increase first home buyers looking at existing homes will need to enter into a contract to purchase prior to 1/1/2012. Most of the banks have significantly reduced their fixed rate loans over the past 24 hours. On average a 3 year fixed rate is now somewhere between 6.6%pa and 6.7%pa. If you would like to know more about locking in some or all of your loan give us a call today. As predicted by 50% of economists, the Reserve Bank has left the official cash rate on hold at 4.75%pa at its meeting in August 2011. 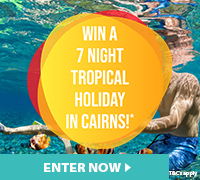 Unfortunately all good things come to an end and our Daydream Island Spa Holiday competition closes today at 5.00pm. The winner will be drawn on Tuesday 26th July at 12.00pm. Good luck to all who entered. HIGH FLYERS OR BUDGET SAVVY SAVERS.....WHO MAKES THE BETTER INVESTOR? Did you know that only slightly more than 20% of Australians invest in property outside their family home? Many more would like to but feel it is out of their reach, or they are just too scared to have debt. But is it out of your reach? And is having debt a bad thing? We have found that it's not only high income earners who successfully invest. In fact, we have clients on modest incomes that have a clear goal to get ahead, carefully manage their money and build an investment portfolio. Do you have what it takes regardless of your income? Read the attached article and call, email or facebook the office if you would like us to send you more informative articles on property investment. At its meeting today the RBA left the official cash rate unchanged at 4.75%pa. With retail spending down and inflation below the RBA target this decision does not come as a big surprise but offers relief for all mortgage holders. Most economists now concede that it is unlikely rates will rise in the near future. The Senate today passed the government's legislation to ban all mortgage exit fees from 1 July. The vote was tied but passed with the support of the Greens and Senator Fielding. Whilst the ban will in principle make it easier for borrowers to switch lenders it could result in decreased competition within the industry which will lead to increases in borrower costs overall. GYMEA'S BEST MORTGAGE BROKER & THEIR PA.
After a hard week's work battling with the banks even the most dedicated mortgage brokers and their PA need to let their hair down! Leading Mortgage Insurance company Genworth has released its International Mortgage Trends Report for 2011. One of the key findings was that almost 50% of all Australian Mortgage holders pay more than the minimum mortgage payment. This is a great way to help pay off your loan sooner and create equity in your home. For a full copy of the report contact our office and we will email one to you. Following its monthly neeting the Reserve Bank has decided to leave the cash rate on hold at 4.75% per annum. This is good news for home owners and investors alike. Shire First Mortgages has just been shortlisted for the Australian Broking Awards as Boutique Operator of the Year 2011. Interest rates are tipped to increase by as much as 0.5% before the end of 2011 with a 0.25% rate rlse likely in June or July 2011.